BIKE PRESENTED — Roger Manzanilla, center, stands with Mount Verstovia Masonic Lodge members Bob Purvis, left, and Darrell Windsor, right, as Roger’s daughter Sandy, 9, is presented with a new bicycle recently at her Keet Gooshi Heen class. The lodge is once again donating a bicycle to one student from each third-grade class, who are selected by their teachers based on the students’ behavior in class and display of good citizenship. Yellow Jersey Cycle Shop donates a helmet and lock as part of the prize. (Daily Sitka Sentinel photo by James Poulson). Cyclists pose before the Sitka Community Bike Ride on Saturday, May 28, 2016, through downtown Sitka. The event also celebrated the 125th anniversary of the first recorded arrival of a bicycle in Sitka, which arrived at this dock. 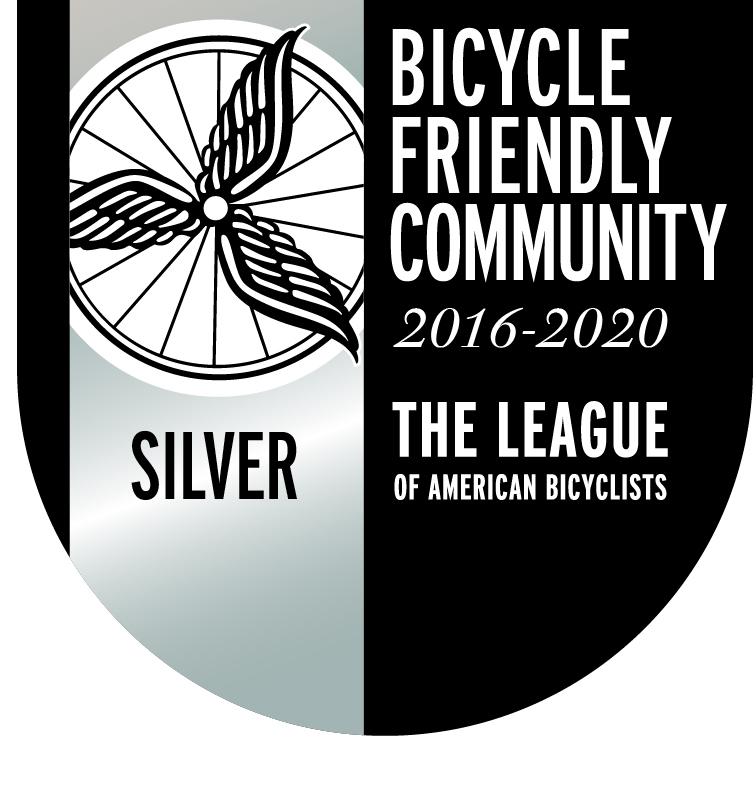 The Sitka Bicycle Friendly Community Coalition will meet from noon to 1 p.m. on Thursday, March 30, at the Larkspur Café (NOTE: This is a change of date from what originally was announced). The monthly meeting is open to everyone interested in making Sitka an even better town for cyclists of all ages. 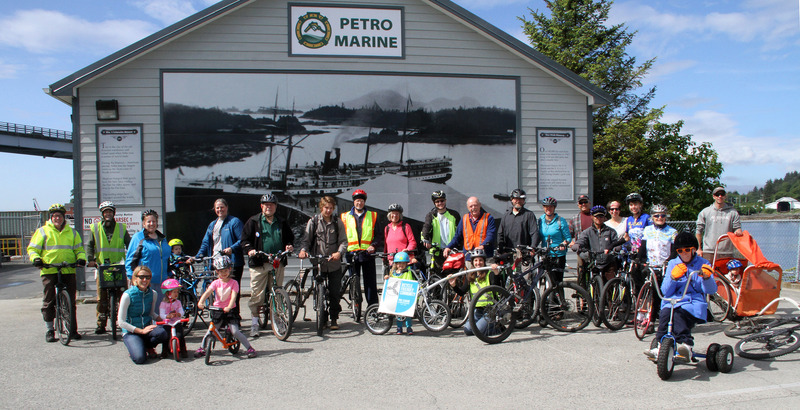 Topics include planning a series of events for the upcoming National Bike Month in May (as well as National Bike To Work Week/Day and National Bike To School Day events), and planning for a “Ride ‘Em All” program this summer to encourage cyclists to ride every road and trail in Sitka. 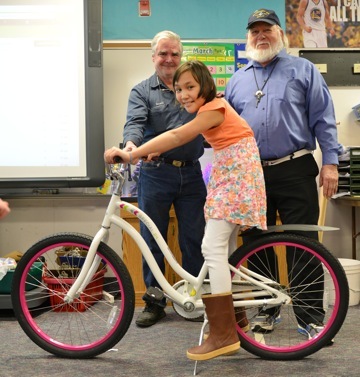 BIKE PRESENTED — Angel Barger, 9, sits on a new bicycle after it was presented to her by Mount Verstovia Masonic Lodge members Darrell Windsor, left, and Jerald Neel recently at Keet Gooshi Heen Elementary School. 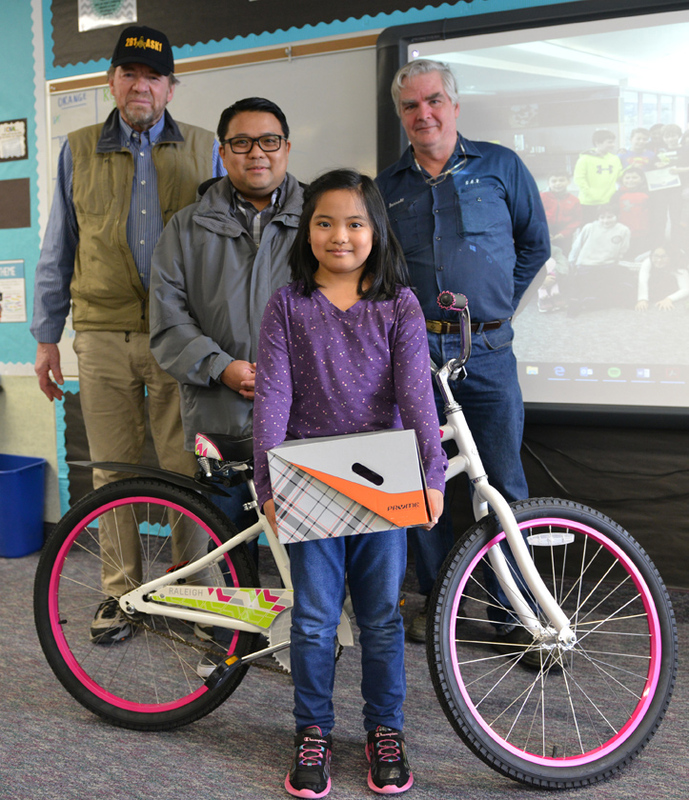 The lodge is once again donating a bicycle to one student from each third-grade class, who are selected by their teachers based on the students’ behavior in class and display of good citizenship. Yellow Jersey Cycle Shop donates a helmet and lock as part of the prize. (Daily Sitka Sentinel photo by James Poulson).